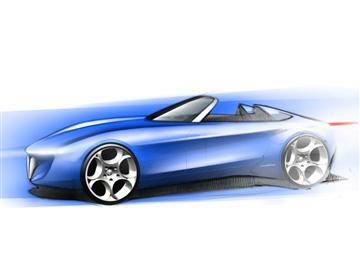 Pininfarina, the Italian styling house that is inexorably linked to one of the classic sports cars of all time, the Alfa Romeo Spider, will unveil its proposal for a an Alfa Romeo two seat sports car for the 21st Century at the Geneva Motor Show in March 2010. The as yet unnamed styling exercise will start the 80th birthday celebrations for Pininfarina and its launch will also be part of Alfa Romeo’s 100th anniversary this year. 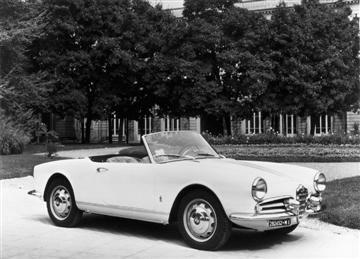 The Pininfarina new concept is part of the tradition of successful spiders 'born' from the relationship with Alfa Romeo, among the most significant and long-lasting ones in the automobile history, and interprets the innovative vision of an classic theme strongly present in Pininfarina’s roots, the 2-seater spider. The aim of the new concept car, says Pininfarina, is to produce an iconic image that link the past and future for both Pininfarina and Alfa Romeo. The classic Alfa Romeo two seat cars to carry the Pininfarina name include the Alfa Romeo Giulietta Spider, which made its debut at the 1955 motor show, and the 1966 Alfa Romeo Spider, often known as the Duetto. The revival of the Spider name in 1999 was launched on another two open car designed by Pininfarina and the latest Spider was developed by Pininfarina from the Brera coupe. In addition Pininfarina has produced two seat Alfa Romeo show cars, the 1986 Alfa Romeo Vivace Spider and the 1998 Dardo Spider.